Yahoo will be rolled into Verizon's AOL operations and CEO Marissa Mayer may be reunited with AOL CEO Tim Armstrong, who worked with her as executives at Google for years and tried unsuccessfully to convince her to combine the two companies when they both remained independent. "We have enormous respect for what Yahoo has accomplished: this transaction is about unleashing Yahoo's full potential," Armstrong said in a statement. Most analysts expect the deal to end the four-year reign of Yahoo's Mayer, a former Google executive who flopped in her attempts to turn around the Sunnyvale, California, company. Mayer, though, told employees in a Monday email that she intends to stay, though she didn't say for how long. "I love Yahoo, and I believe in all of you. It's important to me to see Yahoo into its next chapter," she wrote. Most of the money has been flowing to internet search leader Google and internet social networking leader Facebook, two companies that eclipsed Yahoo during its slide from an online sensation, once valued at $130 billion. 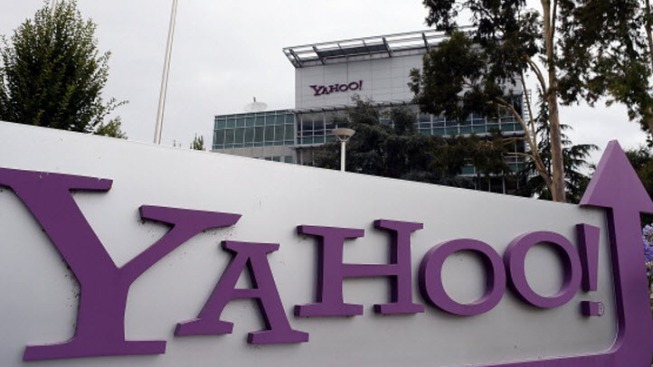 After the sale is completed early next year, Yahoo will become a holding company for its two stakes in China's e-commerce leader, Alibaba Group, and Yahoo Japan. Those investments, made more than a decade ago, are worth more than $40 billion before taxes, making them by far the most valuable pieces of Yahoo. The holding company will drop the Yahoo name and adopt a new identify after Verizon takes control of the operating business. Yahoo also still has a patent portfolio that it intends to sell, and about $7.7 billion in cash. Verizon is buying Yahoo's real estate, along with the online operations. But Yahoo strayed from internet search in an attempt to build a multimedia business, opening the door for Google to become a powerhouse. It didn't recognize the importance of social networking and was slow to make the leap into mobile devices like smartphones and tablets. Instead, Yahoo tried to buy Google and Facebook in those companies' formative years, but it was rebuffed and then dwarfed by them. Mayer believes Yahoo can still come back now that it's about to join a bigger company in Verizon. "Yahoo is a company that changed the world and will continue to do so," she said during a Monday conference call with analysts. Despite Yahoo's troubles, its operations are attractive to Verizon because the wireless carrier is looking to capitalize on the growing number of people living their digital lives on smartphones. Verizon already profits from the data plans that connect more than 100 million people using those devices to the internet; with AOL and Yahoo's services, Verizon is now looking to control more of the advertising experience on phones instead of surrendering control to Google and Facebook. If Verizon fully owned Yahoo right now, it would generate about $3.6 billion in U.S. ad revenue this year, which would eclipse Microsoft for third place in the market, based on eMarketer's estimates. It would still be far behind in ad revenue, compared with Google's projected $27 billion and Facebook's projected $10 billion. While Verizon also wants Yahoo's ad services, it also prizes the hordes that still regularly visit to pick up their email, check the weather and catch up on current events, celebrity gossip and the stock market. The company is hoping to have a mobile audience of 2 billion people by 2020, with a goal of $20 billion in mobile revenue by that time. "It's the eyeballs that generate the advertising; you have to get to that viewership to get the advertisers to advertise, and that's the model that we have to follow," said Verizon CFO Francis Shammo at an investment conference in May in response to a question about Yahoo's appeal. Given Verizon already owns AOL, Giusto says Verizon is probably the best fit for Yahoo instead of the other suitors, which included private equity firms that specialize in buying distressed companies and trying to rehabilitate them.